Electric Picnic 2018 is only days away and the site is still a hive of activity in preparation for one of the biggest festivals of the year at Stradbally Hall just outside Kildare. 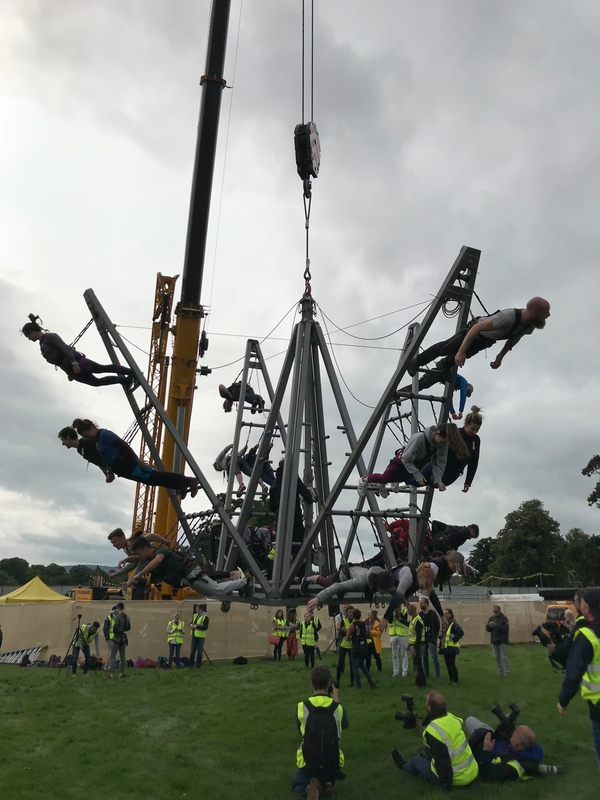 Not for the faint hearted meanwhile La Fura dels Baus lands in Ireland for the first time, set to enthral and excite and quite possibly prove to be the most dazzling performance yet at Picnic with their dramatic show ‘Human Seed’. A 24 strong troupe will create a mesmerising human pyramid that will unfold and become a geometrical flower, as pictured below, which will be raised to a death defying 40 foot over the estate, adding further to the marvel will be a 30 foot moving Transformer style puppet that will come alight at night transforming the Stradbally skyline. Irish band ‘Wild Youth’ who will play Rankin’s Wood Stage on Sunday at 3.30 pm, performed their massive hit single ‘ Can’t Move On’ as a taster of things to come. And for all those foodies out there there are still tickets left for the Banquet. Michelin Star Chef Derry Clarke and Clodagh Mckenna, are behind The Banquet, described as the Finest Dining experience at Electric Picnic 2018.Tickets for this five course sumptuous dining experience, are priced at €120 and all funds raised go to Pieta House and Temple St Children’s hospital.